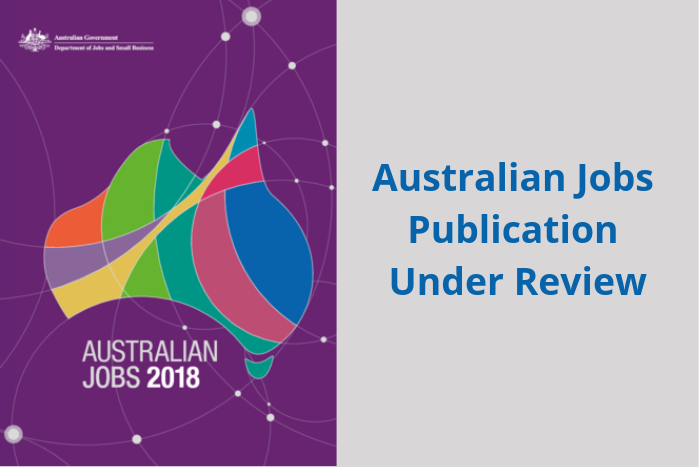 Australian Jobs, one of the country’s foremost job publications, is currently under review to ensure it continues to match the needs and expectations of its readers. Australian Jobs provides an easy to read overview of trends in the Australian labour market. The report is in strong demand and is widely distributed to a range of users. In order to ensure Australian Jobs is best serving its readers, the Department of Jobs and Small Business invites your feedback through the completion of this short survey. If you know anyone who uses Australian Jobs, such as students, job seekers, teachers, career advisers, or any other interested parties, their feedback is welcomed and you are encouraged to share the survey.